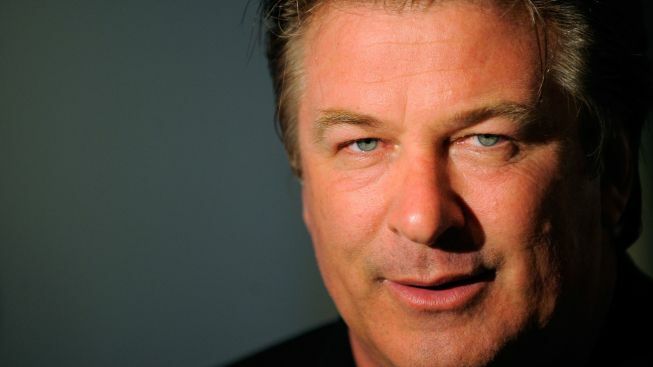 Alec Baldwin says he can behave "unreasonably" and "childishly." If you see Alec Baldwin, better watch your step. He has a volatile personality, the 54-year-old actor says in a Vanity Fair cover story. It leads him to behave "unreasonably" and "childishly," he says, acknowledging that he often "gave the Heisman," as he put it, to certain people in Hollywood. That's not all. There was his recent scuffle with a New York newspaper photographer. And in the Vanity Fair story, he divulged gruesome fantasies for how he might have offed both his wife's lawyer ("with a baseball bat") and Harvey Levin, the TMZ producer who in 2007 exposed the voice mail Baldwin had left berating his young daughter. Baldwin says of Levin: "I wanted to stick a knife in him and gut him and kill him, and I wanted him to die breathing his last breath looking into my eyes." But newlywed Baldwin, who on Saturday married yoga instructor Hilaria Thomas, voiced hope in the article that he will get his anger under control. He declared: "You have to let that go. Enough time — I mean, it does heal wounds."